What are posttraumatic stress disorder and unresolved mourning? 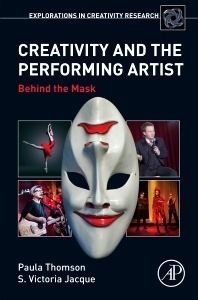 Creativity and the Performing Artist: Behind the Mask synthesizes and integrates research in the field of creativity and the performing arts. Within the performing arts there are multiple specific domains of expertise, with domain-specific demands. This book examines the psychological nature of creativity in the performing arts. The book is organized into five sections. Section I discusses different forms of performing arts, the domains and talents of performers, and the experience of creativity within performing artists. Section II explores the neurobiology of physiology of creativity and flow. Section III covers the developmental trajectory of performing artists, including early attachment, parenting, play theories, personality, motivation, and training. Section IV examines emotional regulation and psychopathology in performing artists. Section V closes with issues of burnout, injury, and rehabilitation in performing artists. This book offers a wealth of knowledge about performing arts including the development of talent, physical and psychological vulnerabilities that befall performers and career trajectory of performers. It is wonderful. Great book and very easy to read. This is an excellent book. It offers important practical information for performing artists and provides current research findings that refines the range of creative processes that are operational in performing artists. Highly recommend this book. This book is excellent. It provides a wealth of knowledge about the performing artist. It is an important contribution to the field. Paula Thomson, PsyD, is a professor at California State University, Northridge, professor emeritus in the Department of Theatre at York University in Toronto, and adjunct faculty at Pacifica Graduate Institute. For over thirty years, she has worked professionally as a dancer, choreographer and artistic director in dance, theatre and opera. She has worked internationally as a guest artist in organizations such as Stratford Shakespearean Festival, Canadian Opera Company, OperaWorks, University of Cape Town, University of Limerick, Banff School of Fine Arts, Ithaca College, Canadian Stage Company, and Julliard School of Music. As an author she has contributed numerous chapters in edited books including the Encyclopedia of Creativity. Together with co-author, Victoria Jaque, they direct the psychophysiological laboratory and conduct research on the effects of stress on performing artists and athletes. Their research has appeared in major peer-reviewed journals including Psychology of Aesthetics, Creativity and the Arts, Creativity Research Journal, Imagination, Cognition and Personality, Attachment and Human Development, Journal of Trauma and Dissociation, Death Studies, Journal of Dance Medicine and Science. She works as a Clinical Psychologist in private practice in Los Angeles. Her clinical expertise includes working with complex trauma, disorganized attachment, dissociation, and performance anxiety. In 2013, she was named one of the top 20 female professors in California. S. Victoria Jaque earned her PhD in Exercise Science from the University of Southern California, and is the graduate coordinator in both the Department of Kinesiology and Assisted Technology Studies and Human Services. An Exercise Physiologist, she has conducted research in a variety of areas including the study of anabolic agents during resistance training in populations with sarcopenia, and characteristics supporting performance in Master Athletes. Over the past decade, she has investigated the factors influencing the development of peak bone mass in humans and rodents, addressing whether the endocrine changes associated with maturation create an internal environment that potentiates the influence of dynamic loading on the development of peak bone mass. She also studies how the autonomic nervous system responds to physiologic and psychological stressors in performing artists. Beyond the publications with Paula Thomson, she is a published author in the field of exercise physiology. She is the recipient of many grants and fellowships at California State University, Northridge.